The Virginia Cavaliers are the 2019 NCAA Men's Basketball Champions! 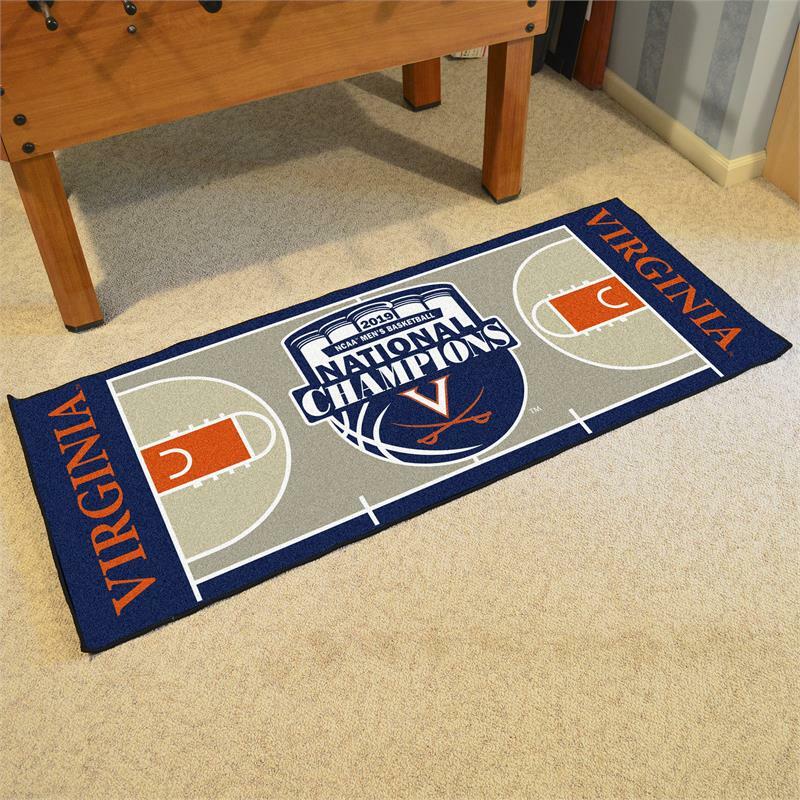 Show your team pride with an officially licensed, commemorative court shaped Virginia Cavaliers Basketball Runner Mat from Sports Licensing Solutions! Made in U.S.A. with 100% nylon carpet and non-skid recycled vinyl backing. Machine washable; vacuum regularly and spot clean for any easy and quick clean. Chromojet printed in true team colors.